I’d love to advertise again, but at the moment I don’t have any spaces in my classes, mostly due to successful previous campaigns with you. So I wouldn’t have anywhere to add new children or adults to our existing classes. We will be looking to open a new class in June, and would love for you to keep us in mind for then if possible? "I currently use Iain for my advertising and I can highly recommend him. Smartlocal vouchers work very well in my area. Give him a call and see if he can help you too." "The poster really looks great, Ian did say it will be in a prominent spot, it sure is, FANTASTIC. Thank you." "For local advertising it is the best thing I have done and I get jobs almost every week, voucher book is always lying on the table when I enter the property." "Advertised in the Smartlocal Voucher book and the vouchers were flying in and it also helped increase my overall footfall." "As a local company we have been delighted to engage in this project. The screen has provided a platform to engage with a huge percentage of the community which we normally miss. Our campaigns have definitely benefitted from advertising on the Irvine screen." "I can highly recommended Smart local advertising. We are getting busy thanks to them.. we have jobs as far away as Selkirk wanting rough cast cleaning with there 10% discount booklet . And we are only in the West Lothian booklet . people passing it to their friends. great. R.O.I." "Thank you very much Audrey, for creating my Smartlocal voucher, it looks really good. I've just taken a glance and it looks and works amazing. Thank you very much to you and your team, regards Edvis." "Firstly I would to thank you for all your help and support through this campaign. The advice given from Iain was extremely helpful and aided us to target our marketing strategy. We were extremely pleased with the design of the vouchers and how quick changes were carried out for approval. We couldn’t be happier with the response we received once the vouchers were out to the public. It generated a higher than expected enquiry rate and as a result we intend to carry out another campaign as soon as the season starts again." "We have been having great feedback from the buses and rail station campaigns and are keen to get further promotion booked in for August/September 2015." "We recently advertised our Le Grand SALE through the Smartlocal Vouchers with outstanding success. We used various avenues to promote our sale some of which were a lot more expensive. After doing our own marketing research throughout our sale we came to the conclusion that for future marketing strategies we will definitely be using Smartlocal again as part of our marketing strategy as we found it was extremely successful from the feedback we gathered as well as reasonably priced." "We recently decided to feature an offer in the Smartlocal voucher book which was something we had never tried before. What a fantastic decision that turned out to be as the redemptions from our offer were higher than we had ever expected. We will definitely be doing it again!" "TK Playhouse have benefited greatly from advertising with Smartlocal Vouchers. Whenever we have visit from them they have always been 100% friendly yet remained very professional." "We at Overboard have been pleasantly surprised with the amount of new customers we have had with the Smartlocal Vouchers. The campaign is proving a great success. Thanks for your support and assistance." "The Smartlocal advertising medium has been a very effective way of increasing the profile of our business, the number of customers that we have had from the Smartlocal vouchers both at our shops in Bathgate and Blackburn has been excellent, its effective advertising that works!" "I just want to say thanks to you and your team, my advert looks fab!!!. I have had 6 confirmed bookings already and am out doing one as we speak. So fingers crossed it keeps up at this rate." "I am pleased to tell you that I have had a great response from my advert in the Smartlocal voucher book. Not only has my existing clients used them but a lot of new clients also. I have recommended this type of advertising to other local businesses as I find it very successful. Thank you for all your help in making my business a success and I look forward to the following weeks." "We had a great response to the voucher offer in the Smart Local Voucher books, and it was a really good boost for the business without costing a fortune. I would definitely recommend Smart Local and I have already booked the next publication." "The response to my first voucher with Smart Local was excellent, and it had an immediate effect which helped me fill all of the classes in the run up to Christmas. I am now looking to the New Year and I have bought voucher ads in all of Smart Local publications." "Excellent response, especially from Students and new clients from outside of Durham City. In the first week we had received 47 vouchers which was way higher than I’d expected... We have now booked an ad into the Sedgefield publication for our new salon which opened a few weeks ago." "Well... What can I say but “you proved me wrong”. Initially I was a bit apprehensive, but after my first campaign with smartlocal vouchers I was very impressed with the response and success of this advertising method. I would, without a doubt recommend Smartlocal vouchers to anyone, and I personally will continue to advertise with them in the future." We are delighted with the response to our voucher in the Smart Local Voucher book and website. We have tried other voucher books in the past and on each occasion we had a poor response. Therefore we were slightly sceptical of trying Smart Local Vouchers to begin with. However, we have just ran our first ever voucher and have had a fantastic return - much to our surprise! We will definitely be advertising with Smart Local Vouchers again and would recommend it to any company looking to increase their sales! "The voucher books have brought loads more customers to LA Smile, the volume of vouchers from the May and June issues has generated a huge amount of business. Its been great, I would have no hesitation in recommending Smartlocal"
"I’m happy to say that smartlocal gave me my busiest month ever - and that is easily quantifiable, unlike other forms of advertising, which can be, at best, haphazard!! I’m very happy with the voucher medium, and will continue to use it. I was initially doubtful, but quickly realised that in the present economic climate potential customers, especially in the mobility industry, appreciate transparency in pricing and the security of knowing we can continue to support them after the initial purchase." "We would not hesitate in recommending Smartlocal to any business wanting visibility and an increase in sales.... We had a great response from the first book that launched in March and again with the May book. I would urge any new business to try Smartlocal, its effective advertising that works!" "Our veterinary practice in Grangemouth placed a page of vouchers for the first time in the last edition of the Smart Local voucher book. Six weeks later we have had 42 new appointments generated from the vouchers. We started with relatively low fee items and will be going into the book again, this time offering higher value procedures. The response has been much greater than I have achieved in the past through traditional print media advertising." "Smartlocal has been a great success for my photography business. As a new company only recently started it has spread awareness to a large number of potential clients and has given me a large number of new customers in the process. The company is extremely friendly and easy to work with and the design of my voucher was great. I will definitely be using them again for future promotions." "As a garage we are offered many forms of media to advertise and promote our business daily, ranging from traditional press, exposure event based marketing to internet marketing and sponsored events. Deciding how and where to spend a budget is a very black art. However we found the idea of the Smart Local Vouchers and the decision to place our business with them an easy choice. Being able to put across a message to our closest potential customers with a specific incentive offered an excellent business opportunity. We saw the results immediately and did not hesitate in signing up again. Having a voucher means you can see the results and you know where the initial enquiry comes from which for the cost is excellent value for money. Thank you"
"Have had a great response from the Smartlocal voucher books, the number of new customers we have secured from the vouchers has been excellent. I will definitely continue to use and recommend Smartlocal, it provides much better return per £1 than any ‘other advertising’, its effective advertising that works"
"SmartLocal is having a great impact on U Drive’s business. Smartlocal has proven that it is the easiest way to get your brand out into the local community. The Smartlocal marketing package is a very cost effective way to advertise and I would have no hesitation in recommending Smartlaocal to other businesses. I will certainly be using Smartlocal from now on. Great Service!" "We at Overboard have been pleasantly surprised with the amount of new customers we have had with the Smartlocal Vouchers. The campaign is proving a great success. Thanks for your support and assistance"
"The response to the first publication was very good and we had customers bringing vouchers into the restaurant from the first day they were distributed. The response was far greater than I ever imagined and I have just booked the Christmas and New Year editions." "Smartlocal Vouchers has worked fantastically for us here at McDonalds (Thinford) and we will be using the voucher books again in the future." "Just a few words of thanks for all the help. I was quite unsure if I should use your company or not I really am glad I did. This is a great way to really push business really cost effective way for getting the biggest bang for your buck, quite simply business is up by almost 30% each week of the vouchers hitting my area. Vouchers pay for themselves many times over million times better than advertising in the local paper I will recommend to all my friends who run business." "Smart Local has had a great impact on our business and we had 500 voucher redemptions in the first week alone!! It’s the easiest way to get your brand to the local community! I have never found a cost effective way of reaching our whole local area as Smart Local has done for us. Great Service!" "We have been really happy with the response from the Smartlocal voucher campaign with over 200 voucher redeemed so far, and this has had a positive effect on our turnover and customer volumes. We have tried various forms of advertisement and marketing over the last 9 months and the Smartlocal voucher campaign has seen the best response by a great margin.We have found the service and support we receive from the team as really good and have now committed to use this medium for the whole year.We would like the team to continue to grow the concept and especially increasing the customer use of their website." "Advertising with Smartlocal is a cost effective and very highly successive way to advertise direct into your target audience. Baguette Express has certainly gained a vast amount of new customers. I will certainly be using SmartLocal again." "I wouldn’t hesitate recommending Smartlocal vouchers to any business wanting an increase in sales, the concept works!! We have received a consistent number of voucher redemptions every week since we started advertising in the voucher book. Ashoka Shak will continue to use Smartlocal." "We at Ultimate Landscapes have done it all to increase business, radio ads / newspaper ads / leaflet drops / gumtree. So when Iain from Smartlocal approached us we thought nothing to lose, give it a go and theres only one word i can think of to describe the response PHENOMENAL, business has increased around 60% we have been able to employ more people and still the phone keeps ringing with more work. So if your thinking of advertising forget the rest Smartlocal is best. A HUGE THANKS TO EVERYONE AT SMARTLOCAL"
"I just wanted to let you know how pleased I am with the response to my first voucher advert. It has produced a really good amount of work for me and has helped to get my new business off to a flying start. I was only too pleased to place an order for the next book. I am delighted with the new advert. Please pass on my thanks to your graphic design team as the advert I had envisaged is exactly the one going into the book. I am very pleased with it. Thanks again to you and all the team"
"I’d just like to say thank you so much for the opportunity to advertise within the Smartlocal voucher booklet. From the moment Iain came in to see us to the design and production of the advert, we have been very impressed. This has worked brilliantly for us and been very cost effective." "I would like to thank Iain and the team at Smartlocal for their excellent customer service. I will now be a repeat customer. The response I had back from the voucher was brilliant. Very happy with the service and would highly recommend Smartlocal." "I was very pleased with the response I received from the Smart Local Voucher book. I had several customers come in with vouchers from the book as well as printed ones from the website, which proved to me it is reaching customers on both fronts. All the customers who brought the vouchers in have booked jobs with us, many of which told us it was the voucher discount that encouraged them to come to us. The whole process from start to finish was easy and handled very professionally. I would definitely recommend this form of advertising to other businesses and will be using them again myself." "The Smart Local voucher campaign that ran from September has delivered me more business that any other press or radio advertising I have ever done. Within the first 4 weeks of the vouchers being delivered I had turned over £25,000 and I still have outstanding surveys in the diary Based on the results from the first book, I will be booking the Durham voucher book again, and will take any further books that Smart Local launch in my area." "We have have been overwhelmed with the number of customers coming in with their Smartlocal vouchers! Due to the succes in the East Central Scotland area we have now decided to go into the Falkirk Smartlocal Voucher book. I would recommend Smartlocal to any company that wants to boost their sales!" "East Central Scotland Chamber of Commerce put us in touch with SmartLocal as a suggestion for promoting our business. We had already decided against internet based voucher deals, and thought SmartLocal was a good way of attracting customers with and without internet access. We are so glad we took the decision to go ahead. The first day the books were delivered, I started to get calls within an hour, and the phone just kept ringing! We have had so many enquiries and once customers discover what good value they get they tell their friends and family, further increasing our business." "Thank you to all the team at Smartlocal. They have given 1st Choice Glazing another vehicle to extend our brand awareness across the Lothian’s. A great concept that is working well for my company." "The Smartlocal voucher books have brought more customers into our Trade Centre, with the result that these customers then pass your name onto colleagues and family. We were a bit sceptical at the beginning, but the voucher books have proved us wrong. Thank you everyone at Smartlocal"
"I am always reluctant to spend money but decided to give SmartLocal a try after speaking to members of staff and customers and finding the voucher books were kept in a safe place by many of them. I was surprised and delighted when customers appeared on the day they were posted to them! We are still getting sales from them 6 weeks on. I have taken a page in the next issue and fully expect the same reaction." "Park Digital Systems Ltd have been very pro active for 15 years promoting our products and services , however when Smartlocal approached us and explained the coverage they offer, we thought lets give this a go...and so far so good! We have had an increase in enquires and got our name in front of the right people at the right time, just what all companies need! Thanks Smartlocal keep up the good work." "Having advertised on many different media’s with little response, naturally I was a bit sceptical of using Smartlocal, but having said that I’ve experienced a first class service and I would happily recommend them to anyone looking to get their brand out there"
"Having advertised Deer Park Ten Pin Bowling on many different local papers with little response, I was very pleased with the response I received from the Smart Local Voucher book. It has been a very effective way of increasing the profile of our business"
"We had tried all sorts of advertising and I was a little sceptical of the whole voucher drop marketing method. I am happy to say however that we have been surprised by the number of redeemed vouchers we receive and also the speed at which the responses come, running our 3rd quarter now and very happy with the whole setup." 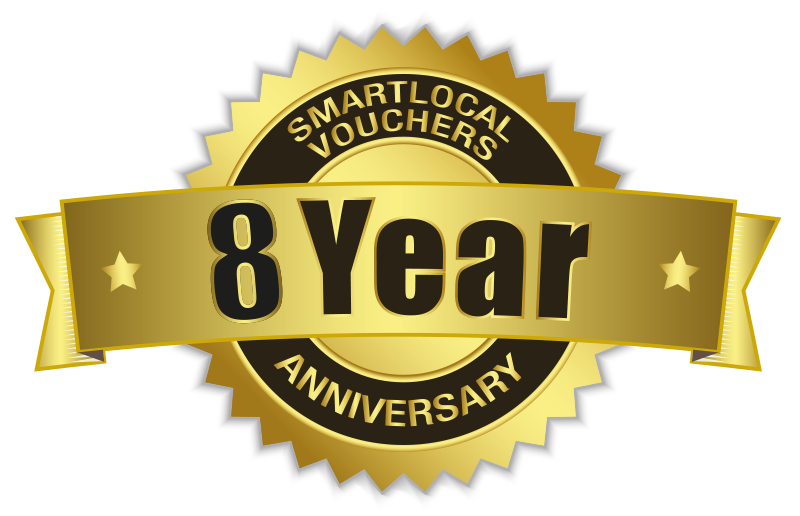 "I am pleased to report that on reviewing my records I have gained 179 new customers from Smart Local Vouchers. When compared to leafleting (which was my main advertising method) the voucher book adverts are getting me roughly a 100% increase in customers and jobs for the same spend." "We at Funtastic Fantasy Golf are a new company and needed to get ourselves out to the public as quickly as possible, We did the usual flyer drop but needed help to get the public to know about us. This is when Iain came along from Smartlocal Vouchers for a chat, and the chat proved to be the best chat we have had in a long time. Being a new business we didn’t have money to burn on advertising and we honestly thought it would be far too expensive for us, How wrong were we!! Iain was amazing he helped make it possible for us to be in the Oct/Nov edition of the voucher book and the outcome from that has been outstanding. Our business which is Mon-Thurs quadrupled (Mon-Thurs were very slow for us) people came in their droves with the vouchers. We literally got 100% of the voucher handed in, with a lot of people downloading them onto their phones so they could come along with the family/friends. People love the fact that they can print more and many have done this which is great as we get repeat custom. If you are thinking on whether or not to use Smartlocal Vouchers I genuinely can categorically say to you try it, Please it is not that expensive and IT WILL HELP YOUR BUSINESS as they will bring people through your doors. We live in an environment where everyone loves a discount so why not give them one! We can guarantee Smart Local Vouchers works and bring in the custom you’ll want. We at Funtastic Fantasy Golf CANNOT recommend highly enough and we can only give you our opinion and that is.. We 100% recommend them to you, it’s been so successful we are in the Nov/Dec already and look forward to the thousands of people coming through our doors Thank you Smart Local Vouchers."